The Q7 is the tried and tested SUV of the rich and famous. It is one standard SUV, which you cannot really go wrong with. It is huge, which means a lot of presence and space, it is imposing to look at and has a lot of brand value. 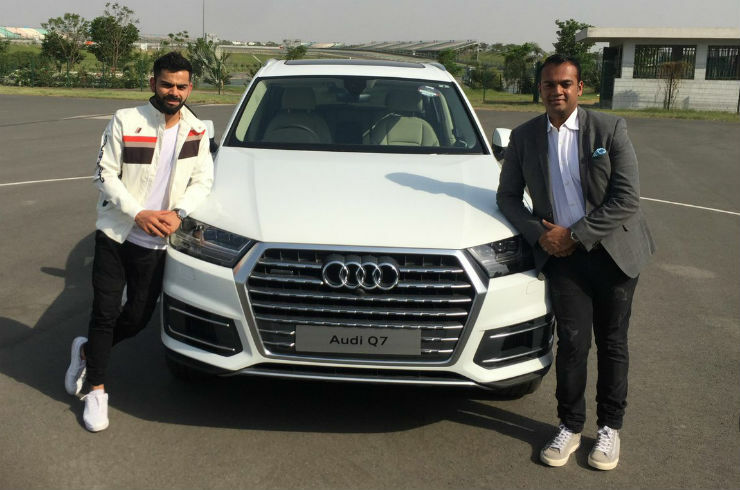 Virat Kohli recently got a brand new Q7. Here are 10 more people who own the flagship Q luxury SUV. Kohli has always been an avid Audi fan. He has had a few of them. He had the previous generation Q7 4.2 TDi and he has now updated that with the all-new Q7. This one is the less powerful 3.0 liter variant. Power is stuck at 245 Bhp and 600 Nm. Apart from the latest Q7, he has a Audi A8 W12, a R8 LMX and had the previous generation R8 too. Ex-Indian team cricket captain, MS Dhoni too has a Q7. He has always been a SUV fan, having a Scorpio and a Hummer. While he is more of a bike person, he enjoys his SUVs, rather than sports cars from the looks of it. His choice of colour – blue – is a good one, and it makes the vehicle stand out. On the occasion of his 57th birthday, Sanjay Dutt was gifted an all-new Q7. Sanju Baba has always been a Q7 fan, having owned the previous generation vehicle as well. He has now gotten the brand new one, finished in white. This version only comes with the 3.0 liter V6 diesel engine, unlike the previous one which had the option of a 4.2 V8 diesel. 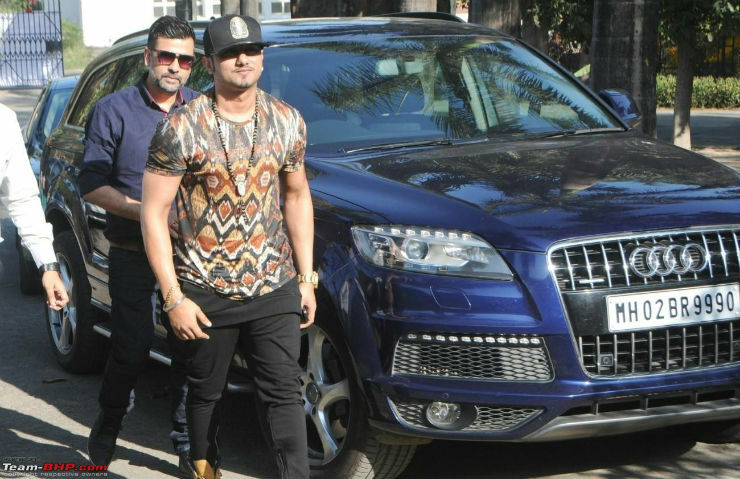 Famous singer turned actor, Honey Singh has gotten himself a Q7 too. While he doesn’t have the latest generation vehicle, he has the facelift of the previous generation vehicle. While opinions on his music are divided, he certainly has a good taste when it comes to cars, opting for the staple Q7, in navy blue. Alia Bhatt too has been an Audi lover for a really long time. It is believed that she bought her first car, the Audi Q5 after the success of her first film, Student of the year. Now she has upgraded to the Q7 too, however she has the face lifted version of the first generation vehicle. Parineeti has had a rare choice, when it comes to cars. She was one out of very few to choose a Jaguar XJ, when it was time to opt for a luxury sedan. Now though, she has gone the mainstream way and gotten herself an all-new Audi Q7. The Q7 is Audi’s premium SUV and is only on sale with a single diesel engine. The engine on offer is the 3.0 liter V6 unit that produces 245 Bhp and 600 Nm. Prices for the Q7 start at Rs 72 lakhs and there are two variants on offer.